We all agree: It’s better to have someone you know—not just a de facto second person won during the boat-buddy lottery—to share the underwater experience with. It’s even better when that person is your romantic partner, someone you could share every dive with, and one day embark on far-off vacations together. If you’re currently attached, but to a non-diver, read on. The best power of persuasion is attraction, not promotion. What this means is sharing your experiences, but not forcing a partner to try anything. When you come back from a dive trip, you’re going to talk about it—what you found exciting, the fish you saw, the friends you made. Your partner will likely hear the passion in your voice, and he or she may become curious. That may build until one day, he asks if you have suggestions on where he might get certified. Keep your dive magazines lying around the house. Ditto the fish ID books. I have never met a soul who wasn’t fascinated by underwater photos. People are positively mesmerized. 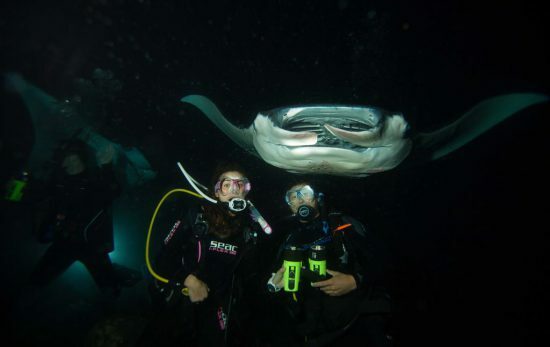 If you’re looking at your Instagram account when next to your partner, don’t be afraid to utter aloud, “Wow” when you come across a pic of a diver alongside an octopus or shark. It’s all fair game. Every couple plays that game of “Where would you go in the world if you could go anywhere?” You, the diving partner, is likely going to talk about diving with sharks in the Galapagos Islands of Ecuador, or with the tides of Tahiti. Or any number of exotic places where, quite often, there isn’t much else to do beyond diving. If it’s a liveaboard trip, your partner may elect not go, or she may go and catch up on a lot of reading, or she may be inspired to finally give the ol’ mask and fins a try. Speaking of which, you may hook her with a simple trip to your favorite dive center, ideally one with a massive inventory of gear. Maybe even one that has a pool on site. While you’re getting what you need, your partner will likely wander toward the masks, wetsuits or even the computers. Whatever she picks up, encourage that interest. If she’s eyeing fins, ask if she want to try them on. She might look at the price tag and utter something like, “This is too much—when am I ever going to use this?” Refer to tactic four. 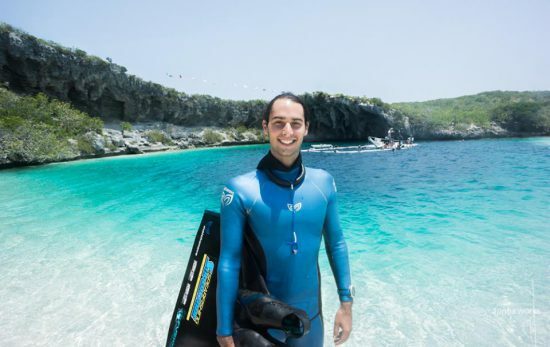 Scuba diving is always better with your best friends or significant other, so hopefully these tips will help convince your non-diving partner to dive in. 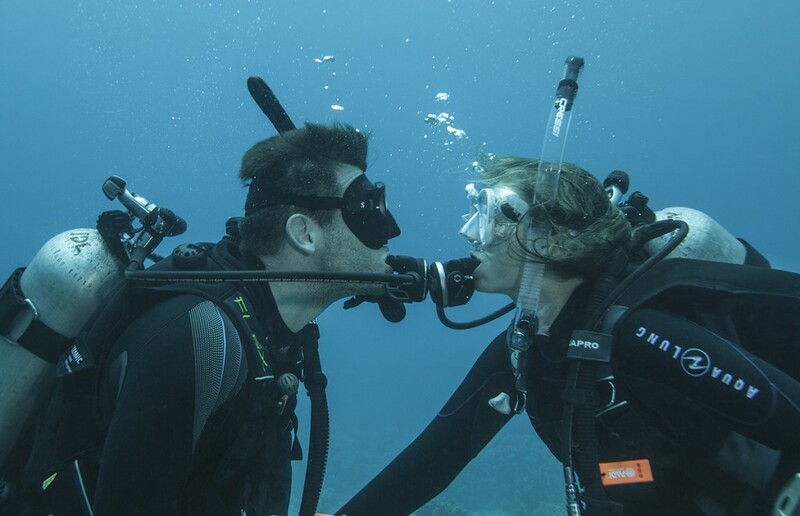 For even more inspiration, read our other blog article – 5 Reasons to Dive with Your Significant Other.